We had a scorcher of a day. 95 degrees, a new record according to the National Weather Service. Without a cloud in the sky, I headed to the Edmonds pier to try some water abstracts. 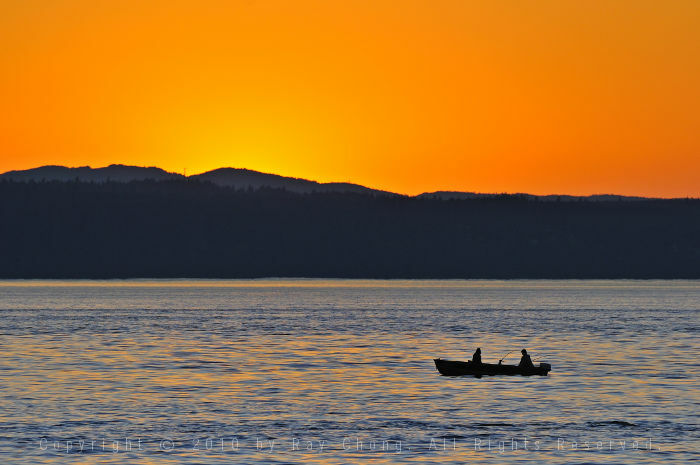 It is salmon season and the fish are running, so both pier and water were packed with fishermen. Here is a pair, trolling in a nice old skiff. 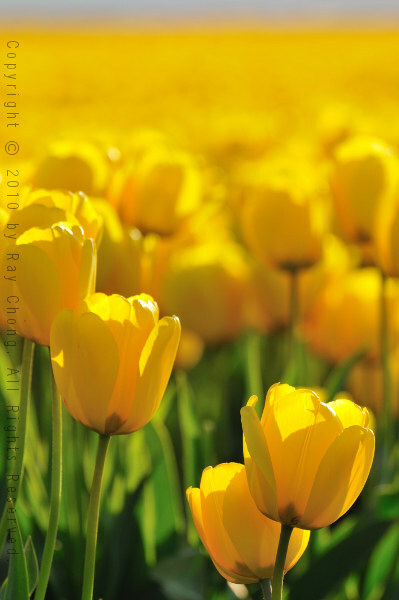 I went out to the tulip fields to scope out locations for a sunrise shoot. The light when I got there was just too good to not snap a few. 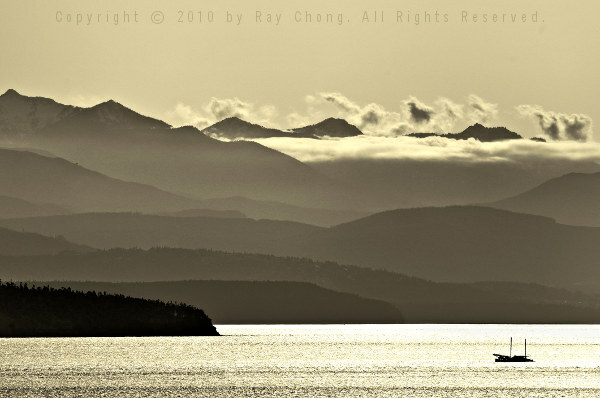 I shot this profile of the Olympic Mountains on a gorgeous afternoon on Whidbey Island, a couple of hours before Sunset at High Tide. It had been cold and gray when I left Seattle but as I headed north, fortune smiled upon me.